So far Antje Johnson has created 6 blog entries. Is Scalp Micropigmentation Right For Me? 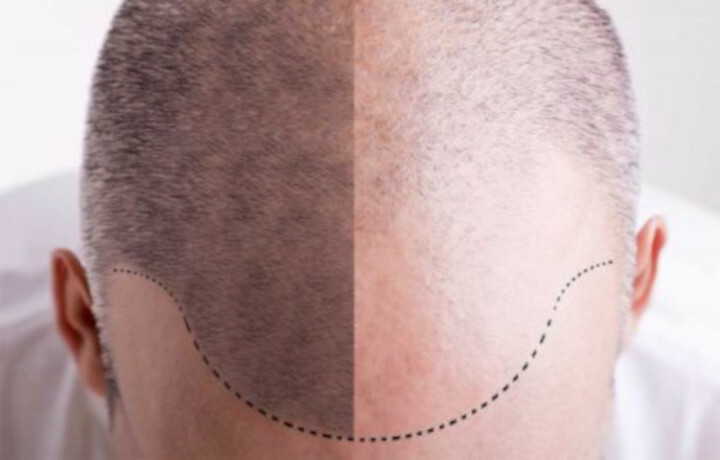 Scalp micropigmentation is a cosmetic tattoo that gives the illusion of a close buzz cut hairstyle on a bald head. The procedure can also be used to conceal the scars from hair transplantation or to make thinning hair seem thicker. The hair looks fuller because the pigments inserted into the scalp make it appear darker, without penetrating the skin as deeply as a regular tattoo would. The intricate procedure is similar to tattooing. It basically creates the appearance of tiny hair follicles which leaves you with a shades scalp. The best part of our Scalp Micropigmentation is that you can really have whatever desired outcome you want. During your consultation, we will go over how dense you want your hair, the darkness and overall look you are striving for. 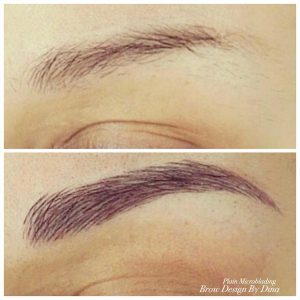 Dina Basman of Brow Design by Dina will be very honest and upfront with you. Specifically, she will let your know whether your desires fit into what is achievable or not, so there will be no disappointments afterwards. Her pigments are 100% organic with no color additives. They can not break down into other colors-because they contain no constituent colors. Since they are charcoal based, it means that there is no chance for your scalp treatment turning blue or green. If you are interested in learning more about the procedure, make an appointment for a consultation today! 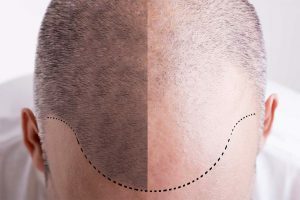 By Antje Johnson|2019-04-12T10:30:07-05:00April 12th, 2019|News|Comments Off on Is Scalp Micropigmentation Right For Me? 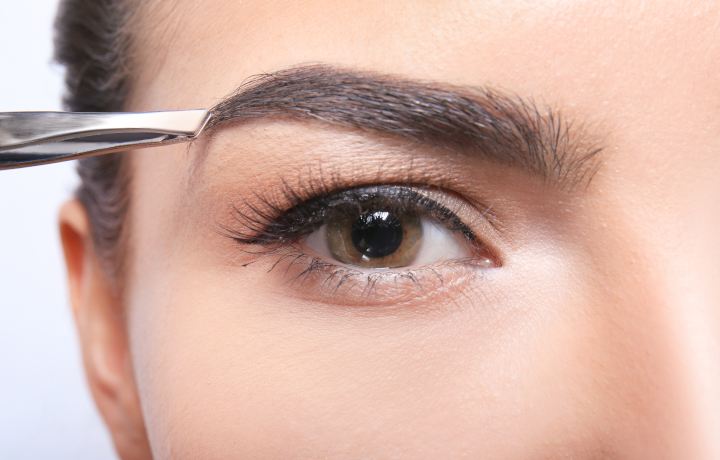 Keeping your eyebrows in check can be a struggle. Plucking keeps them away for longer, but mishaps can be irreversible. Over-plucked brows can become an issue especially now that somewhat fuller brows are back in fashion. “Your hair has a good memory, it does not forget what you have done. 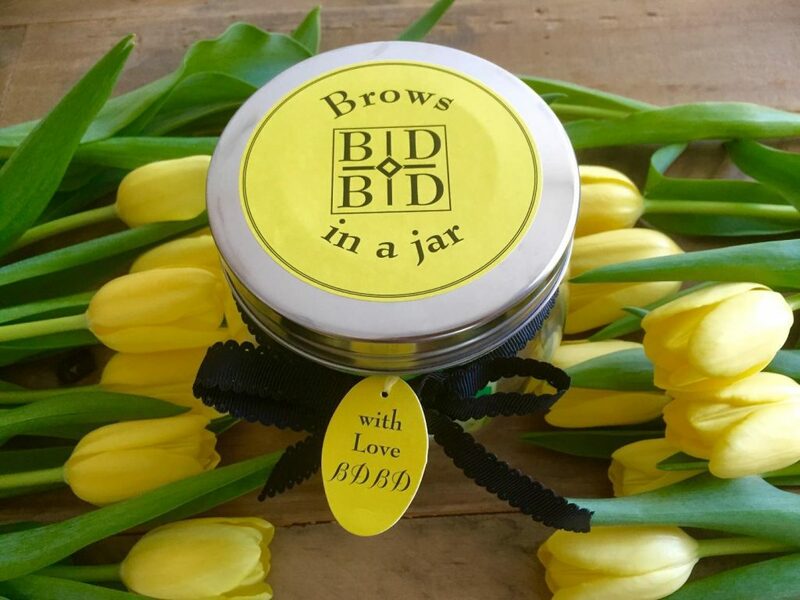 Keep plucking your eyebrows and they won’t grow back,” cautions Dina Basman of Brow Design By Dina. Shaving your brows to get rid of the strays is another option. “However shaving can be rather short-lived. Shaving only takes hair even with the skin. So your results won’t last very long, but you’ll start to see stubble or a shadow in the next day or so. This means you’ll have to shave them almost every day to keep your results. If you want longer-lasting beautifully shaped eyebrows consider microblading. This is a semi-permanent eyebrow procedure. It’s a new, superficial solution to sparse, over-plucked, over-waxed, and thinning eyebrows. Eyebrow microblading is a way of implanting pigment under the epidermis using a specially designed fine blade that is three times thinner than the blade used in a machine. This allows for the creation of very fine, crisp, realistic hair strokes that do not blur after healing. Best of all, the results can last between one and three years, according to experts. If you are thinking about getting the procedure done, schedule and appointment with Dina today! 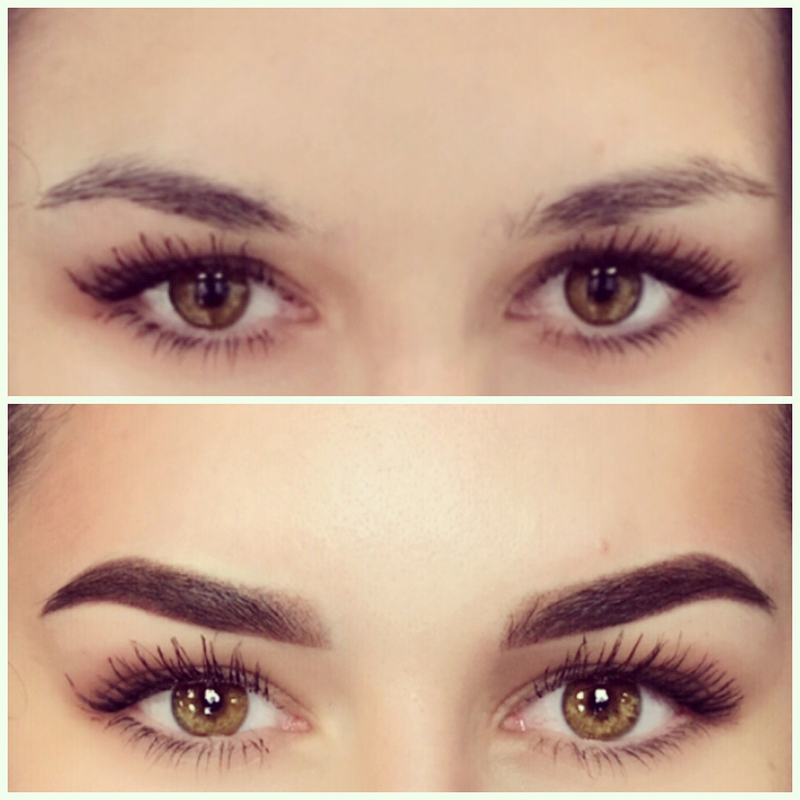 Which Brows Should I Get? Which Eyebrows Should I Get? Eyebrows frame your face. Great looking brows can give lift to your face and make the eyes appear larger and more youthful. If you have over-plucked or just have sparse brows, semi-permanent makeup could be the right solution for you. 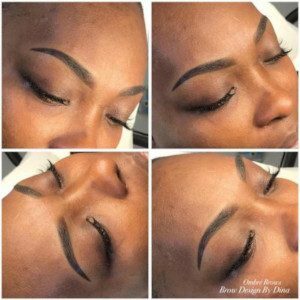 There are different type of eyebrows that you could get, here is a quick summery of the different procedures and different looks from Brow Design By Dina. 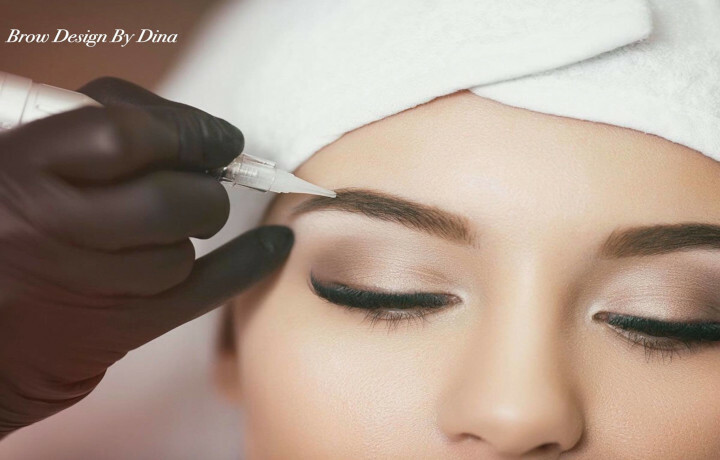 Dina Basman of Brows By Dina uses a hand tool with a specially designed fine blade to for this procedure. This allows for the creation of very fine, crisp realistic hair strokes. Plain Microblading is ideal to cover scars and gaps, define shape, create an arch and fill in the brows. The results can last up to a year. During this type of procedure basically thousands of tiny little dots of pigment are inserted into the skin, gradually building up a color and a defined shape. This is a very precise method, explains Dina. These type of browns are done by a digital device. 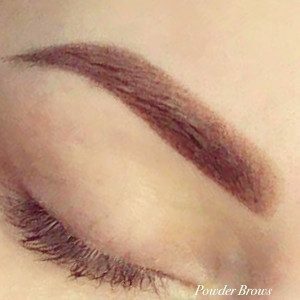 Powder Brows look very light and natural and last about a year. Blending is done the same way Powder Brows are, but the color gets applied a little bit deeper. This means Blending will last about 2 years. Since the color gets inserted deeper under your skin, the brows will look a little bit heavier than Powder Brows. “The Ombre look is very popular right now with the younger generation,” Dina says. The color, which is also applied with the digital device, gets inserted into the skin deeper in certain parts a the brow. This gives your brow a heaver, but very defined look. The results will last over two years. Since the brow will look very perfect, it is a good look for people who wear a lot of makeup on a daily basis. Dina uses a slightly different application technique, compared to Powder Brows or Blending, to achieve the very precise Ombre look. Art Combine, just like the name suggests, is a combination of to procedures. For this type of brow shading as well as microblade or hair strokes are used. The results here will last you last over 2-3 years. Art Combine is good choice if you have little to no hair at all. It also helps to create more natural shading and dimensions. If you are not sure which eyebrows are the best for you call Dina and schedule a consultation! 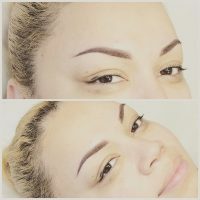 By Antje Johnson|2019-02-11T10:53:50-05:00February 11th, 2019|News|Comments Off on Which Brows Should I Get? What Is Permanent Eyelash Enhancement? Do you struggle with sparse or short eyelashes? You have tried eyelashes extensions but have a hard time putting them on? Time may also be a factor. 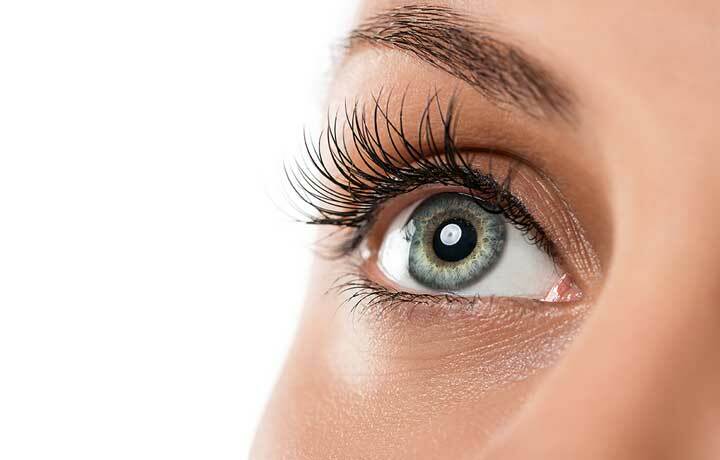 An eyelash extension appointment for 75 or more lashes per eye — can last more than two hours. Eyelash extension also may not work with your lifestyle. If you swim or workout a lot, your lash extensions’ lifespan is more limited. Exposure to water, sweat and frequent bathing will weaken the glue’s bond. Give permanent eyelash enhancement a try. You will have full, natural eyelashes everyday without any work. Eyelash Enhancement is a permanent makeup process that creates the illusion of thicker, darker, and completely full lashes by filling in between the lashes with permanent color. The lash-enhancement procedure can be done on just the top or bottom lashline, or both. Lash enhancement is great for individuals who have large gaps between eyelashes and sparse lashes. 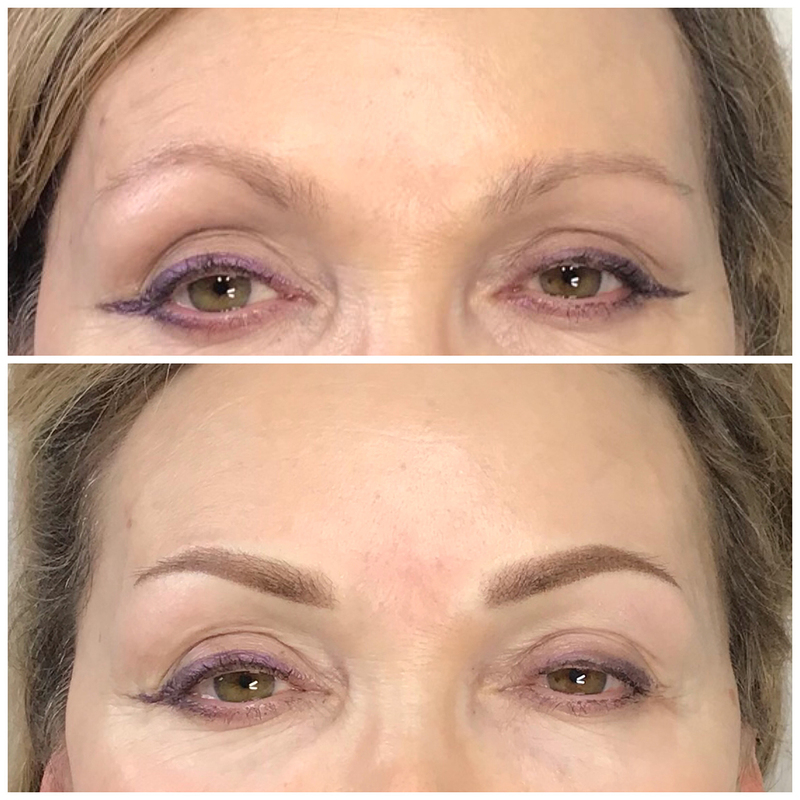 The treatment, similar to microblading requires a 4-6 week touch up period after the initial procedure, but once the touch ups are done the results can last up to 3 and sometimes longer, according to experts. Because eyeliner styles can vary greatly to accentuate the shape of the eyes, we always begin with a free consultation. At the consultation, your color and shape objectives and probability of success with permanent cosmetic pigments and techniques will be discussed. By Antje Johnson|2019-01-11T10:35:26-05:00January 11th, 2019|News|Comments Off on What Is Permanent Eyelash Enhancement? 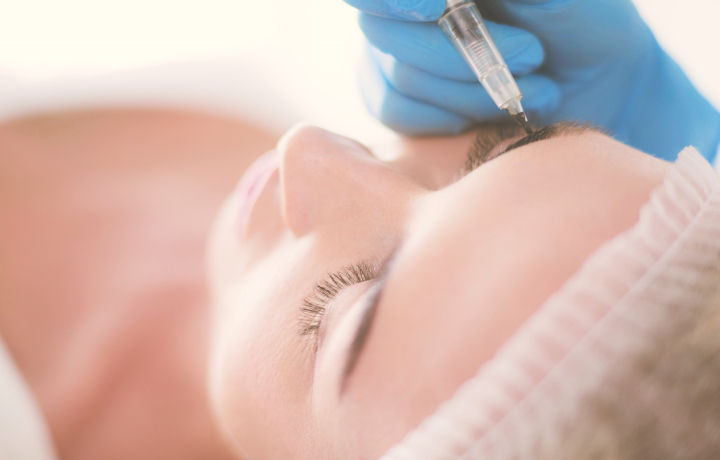 Are you considering getting permanent makeup done? Here is what you need to know before picking just anyone to perform the procedure. All permanent makeup and microblading shops must must be approved by the Louisiana Department of Health. On February 5, the Louisiana State Board of Cosmetology issued a ruling via a declaratory order that microblading is permitted in its licensed facilities as long as the activity takes place in a dedicated room with a door and it is performed by a department (LDH)-registered operator and under the auspices of an LDH registration (facility). “Microblading is a very capricious technique with many limitations that you have to take into consideration,” says Dina Basman owner of Brow Design by Dina. 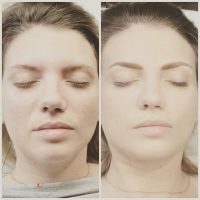 Lately, she has seen a growing number of clients who had poor microblading done to them and are now asking her to fix the problem. “It is literally becoming a serious epidemic problem,” she says. Professionals who perform microblading or teach the technique have to be registered with the Louisiana Department of Health. “Please do your research,” she urges clients. If you are thinking about learning the technique, you will also have to make sure that your trainer has all her/his paperwork in order, otherwise, the training could be illegal. If the facility that is responsible for issuing a certificate in microblading does not possess all required licenses and permits, it will be waste of money and time because your certificate will not be approved by the Louisiana Department of Health. Eyebrow trends come and go and have changed through the decades. Our taste when it comes to how we want our eyebrows to look has evolved from very thin and rounded arches in the 1920’s, to arched and bushy in the 1950’s, to thick and natural in the 1980’s, and to somewhat bushy again in the early 2000’s. The techniques how we get our eyebrows in shape have been changing too. There is, of course, plugging, but also waxing or threading. The latest trend in eyebrow design is called Microblading. 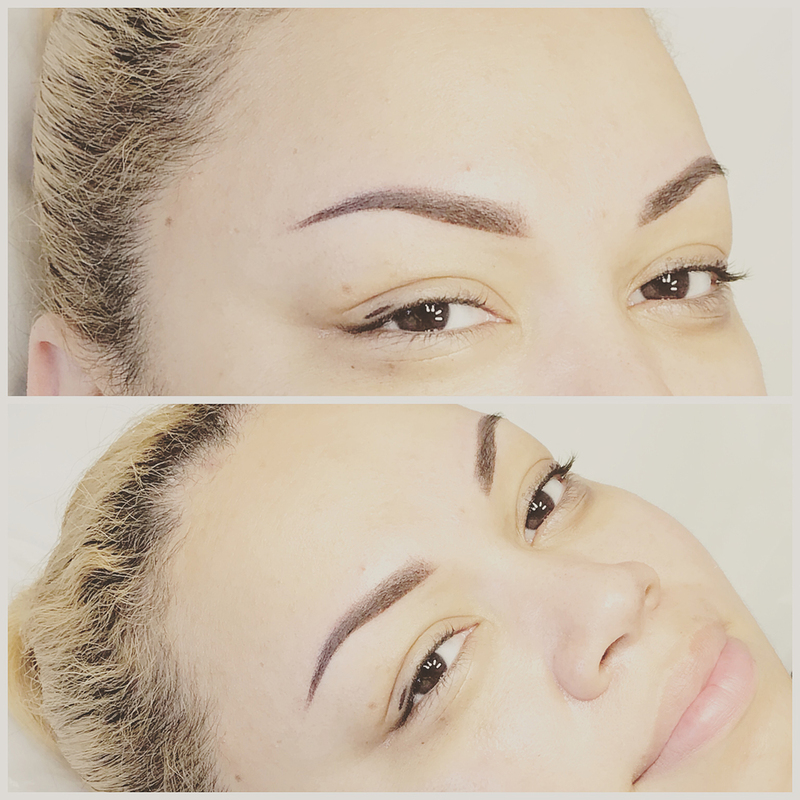 Microblading is a semi-permanent eyebrow procedure. It’s a new, superficial solution to sparse, over-plucked, over-waxed, and thinning eyebrows. 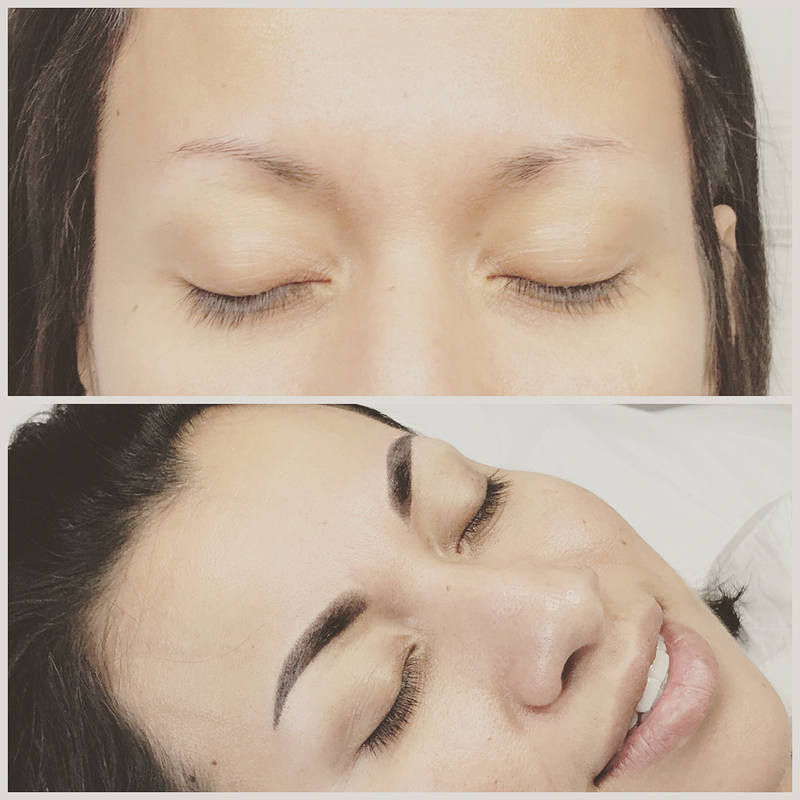 It is a tattoo technique that fills brows out or reshapes them by drawing on tiny lines that look like individual hairs. It is ideal to cover scars and gaps, define shape, create an arch and fill in the brows. “This is a perfect technique for people with thin hair or no hair because it looks so natural,” says Dina Basman, owner of Brow Design By Dina. This procedure is perfect for both men and women. Eyebrow Microblading is a way of implanting pigment under the epidermis using a specially designed fine blade that is three times thinner than the blade used in a machine. This allows for the creation of very fine, crisp, realistic hair strokes that do not blur after healing. How long the results last depends on many factors including the thickness and oil levels of a person’s skin, how much they sweat and how humidity affects them. The results can last between one and three years, according to experts. Having semi-permanent eyebrows is convenient and allows you to get ready faster in the mornings. If you have sensitive skin, you don’t have to worry about finding the right eyebrow make up that does not make you break out. It also gets rid of the hassle of trying to fix your eyebrows while wearing glasses. Semi-permanent eyebrows can help cover up possible scars you may have in the area that may not allow brows to grow. You will have perfect looking eyebrows every day and don’t have to worry about smears or makeup disappearing throughout the day even if during and active day outdoors or at the beach. 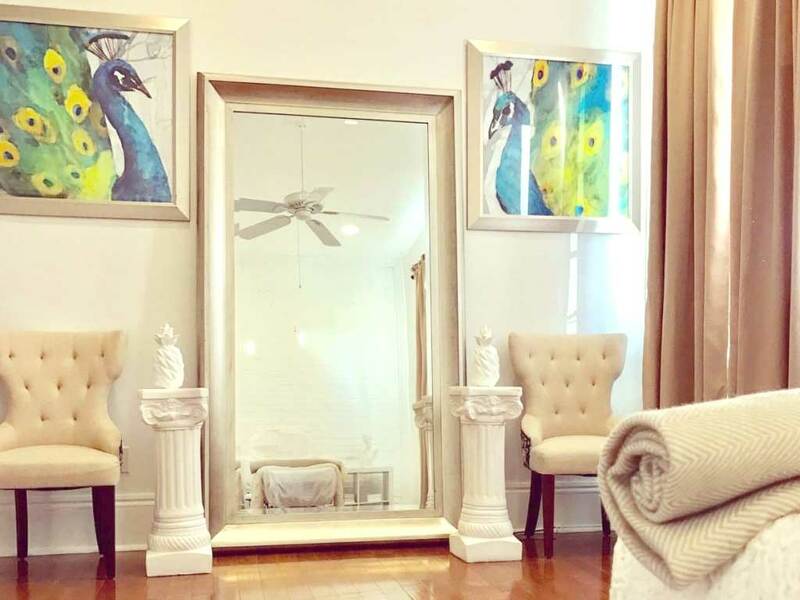 An exclusive Permanent Makeup & Microblading Clinic in New Orleans. 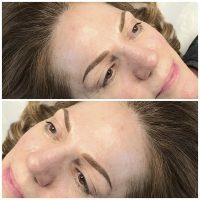 By Antje Johnson|2018-11-15T12:16:42-05:00November 15th, 2018|News|Comments Off on What Is Microblading?